MINISTER FOR CHILDREN James Reilly has batted away accusations of a delay in publishing the terms of reference for the investigation into mother-and-baby homes. Earlier this week it was revealed that a second burial ground had been found at the Tuam home. The deadline for publishing the terms of references had originally been set as autumn, with Fianna Fáil now raising concerns that the process has now been ‘stalled’. The party’s Spokesperson on Children Robert Troy called the delay “unacceptable”, and said it could be “used to diminish the importance and scope of the work that needs to be carried out”. However, a spokesperson for Department of Children has confirmed that the terms of reference are at a very advanced stage. “The Minister hopes to bring to Cabinet the terms of reference in the near future,” they said. They described the work put into the planning as ‘intensive’, with the Minister meeting with several groups who would be impacted by the inquiry. “It’s so important to get this inquiry right,” the spokesperson added, noting that the focus has been to identify what areas needs to be looked at to ensure the inquiry does not drag on with no results. A draft version of the framework was released last month to Government departments. 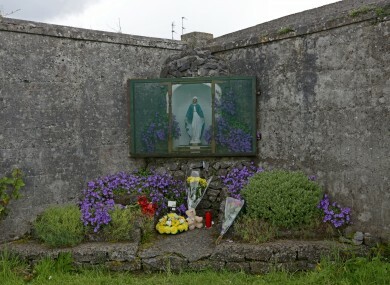 Earlier this week, the Irish Daily Mail reported that a new burial ground had been discovered at the Tuam mother-and-baby home. There had been some questions about how 800 babies could be buried in such a small corner, but this map clearly indicates that the site was much, much larger than that. Email “"It's so important to get this inquiry right"”. Feedback on “"It's so important to get this inquiry right"”.